Final report released 10 June 2015. 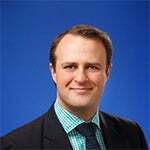 Former Human Rights Commissioner, Tim Wilson, conducted consultations to explore key rights issues affecting lesbian, gay, bisexual, transgender and intersex (LGBTI) people in Australia. These consultations were conducted through an online survey and email submission process. The online consultation period was supported by a number of targeted meetings and community forums with LGBTI groups, organisations and individuals across the country. The outcomes of this process informed the work of the Commissioner in the area of LGBTI rights over the remainder of his tenure. The consultation process was held in parallel with the Rights & Responsibilities 2014 consultations, a national consultation about how effectively we protect people’s human rights and freedoms in Australia. The focus of the Rights & Responsibilities 2014 consultation was building understanding and improved protection of our fundamental human rights, freedoms and responsibilities. The perpetual task of improving openness to and acceptance of LGBTI people cannot be carried by one individual. It requires everyone to make a contribution in their own way and in their own community. This report will canvass the human stories of individuals doing excellent work on the ground, and often in challenging environments. I look forward to your contribution to this consultation and subsequent reform. Information from the consultation process informed the Resilient Individuals: Sexual Orientation Gender Identity & Intersex Rights report. The report outlined key issues raised during the consultation process, identified best practice community based initiatives promoting SOGII rights, and set out recommendations to further advance the protection and promotion of SOGII rights in Australia. strengthen the capacity of stakeholders to effectively advocate for SOGII rights in Australia. The Commission received submissions from the following people and organisations. We also received ten confidential submissions and five confidential case studies.